Alumna Therese Fowler is headed for the red carpet. The 2005 MFA in creative writing grad is in New York this week for the premiere of Z: The Beginning of Everything, a new TV series adapted from the pages of her 2013 novel about Zelda Fitzgerald. 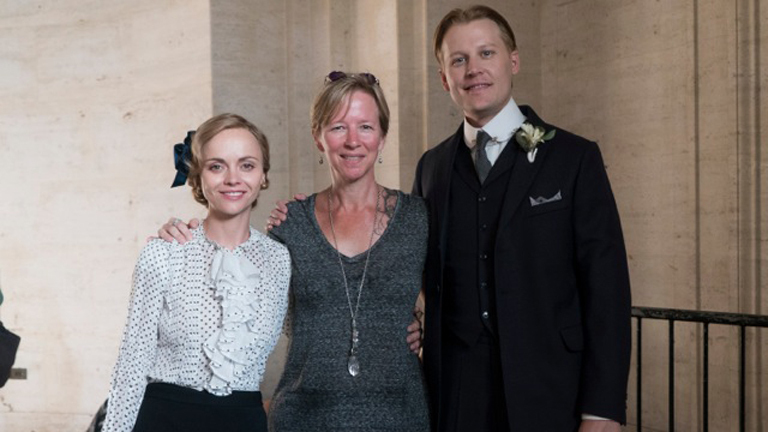 Fowler’s book, Z: A Novel of Zelda Fitzgerald, served as the inspiration for the new Amazon Studios bio-series, which begins streaming Jan. 27. Credited as a producer on the show, Fowler has consulted with the writing team and was on set for some of the filming. In addition to attending the premiere this week, Fowler will join the show’s lead actress Christina Ricci (Zelda Fitzgerald) for a conversation with film and TV critic Caryn James. After reading Fowler’s novel in 2013, Ricci worked with the production company Killer Films to create an on-screen adapatation of Zelda’s story. Amazon eventually backed the project as a streaming series, and filming began in 2015. “I was standing behind the camera crew and writers watching a scene I’d invented,” Fowler said. “The dialogue came straight out of the book.” Read more about Fowler’s role in the production and the background of her novel. The first season is available Jan. 27 on Amazon Prime Video.